Welcome to Hotel SITNO **** – Forest Resort situated in the picturesque natural setting of mountains Štiavnické vrchy. Its location – not more than 6 km away from the major motorway connection between Bratislava and Banská Bystrica – and its distance of only 165 km from Bratislava make it an easily accessible site from any place in Slovakia. The hotel underwent a massive renovation project and at present it offers 329 beds in neatly furnished rooms and apartments. The modern congress centre comprises 12 congress halls with the capacity of up to 880 persons and is adjusted to meet business clients’ demanding requirements. Two restaurants with terraces, a day and night bowling bar and Grill & Sport Bar present enticing venues for refreshment, repose or entertainment. The hotel incorporates 70 parking spaces and there are 150 more additional parking places in the vicinity of the facility. The ample service offer of Wellness & Spa Centre 4 ELEMENS, supported by thermal water, a huge area with an outdoor swimming pool, Adventure Golf Field and the surrounding natural beauties, comes up with a number of possibilities for relaxation. 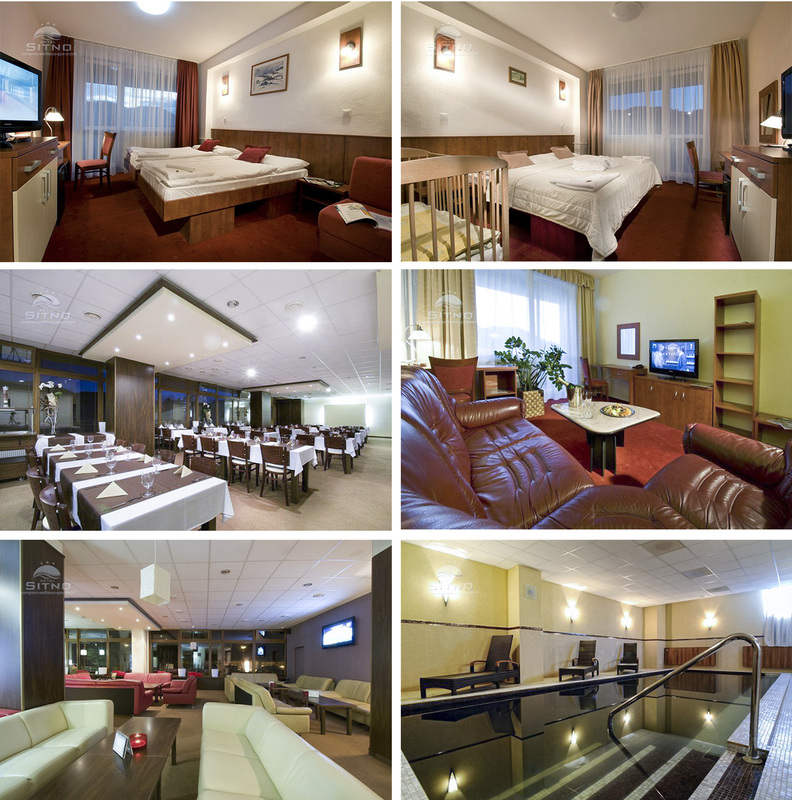 Hotel SITNO is a modern facility whose mission is to provide quality services in a pleasant environment. Please note that the deadline for guaranteed room reservations is May 1, 2019. Request for room reservations after this deadline can only be handled upon availability. Hotels reserve the right to change the price of the accommodation after May 1, 2019.